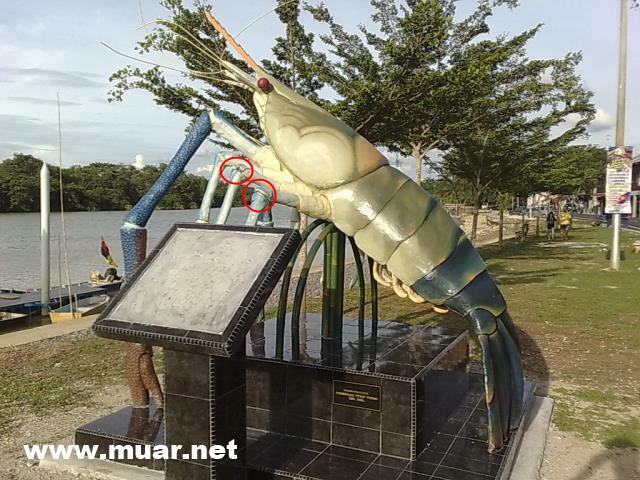 This RM30,000 prawn statue only opened for two weeks by His Highness Johor Sultan, unfortunately few legs and antennae are found broken. I was told by local folks that some playful children pulled down the legs and antennae. My suggestion is erecting a fence, otherwise more damages due to mischief by children.